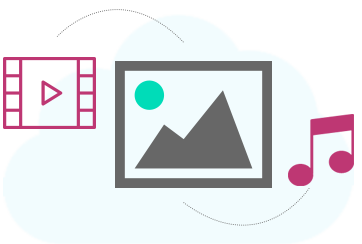 Digital Media Technology Service -These include consulting, design, workflow management, manpower planning, supply of turnkey projects, build-operate-transfer, training and outsourcing complex media technology operations through completely customized offerings. 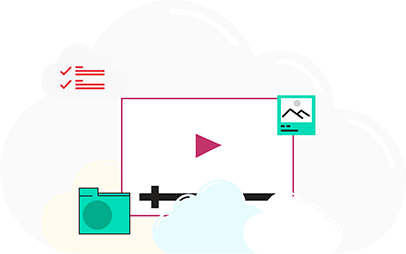 Cloud Playout services and Delivery Platform services are designed to help a broadcaster create multiple linear channels from their content library, and deliver these at low cost to local distribution platforms. 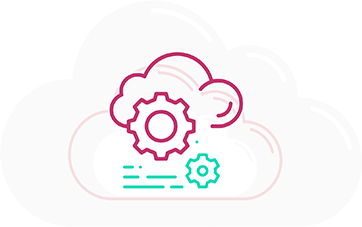 Complete MAM on Cloud with user licenses which can be configured based on several parameters, and if required provided on pay-per-use basis. 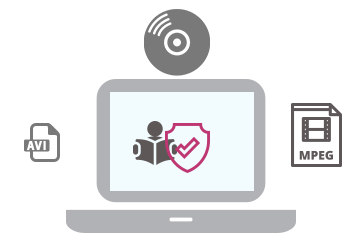 Managed NAS on the cloud service with content security, controlled user access and remote management capability. 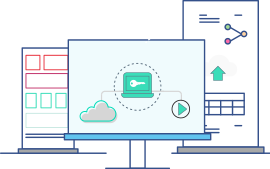 The Cloud Library is provisioned with sufficient access bandwidth and controlled by a high-end MAM to ensure easy and fast search and retrieve function with optional transcoding and other preparation functions. Disaster recovery “DR” has become an increasingly important & integral part of business planning for any broadcaster be on terrestrial or satellite networks. A temporary loss of signal can result in the audience in switching to other channels or networks or loss in revenue. For that reason, operations must NOT be interrupted at any given point of time. 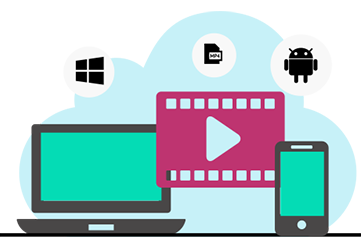 Our solutions are designed to support streaming needs for multi format (android, Windows, iOS etc.) and multi device (Tablets, PC or smartphones etc.) 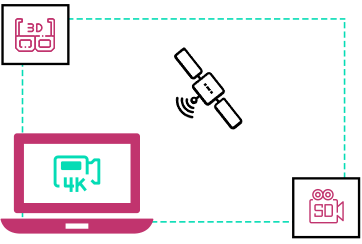 uni/multi-cast streams with multiple capabilities of formats and video players. Maintaining a mirrored play out system at a remote location. Parallel uplink facility in case of emergency. PLANETCAST’s facility is well equipped for providing any of these services. Reliable & Stable mirrored play out signal. Availability of seamless transition to Mirrored play out. Premium automation system with built-in features for providing consistency with the primary play out channel. Cost-effective off-site, lower operational expense (reducing space and energy & other operational expenses). Facilitates Seamless integration with most of globally known automation system, graphics system, headed equipment eliminating the need for a separate process to bridge operations between main site and backup. 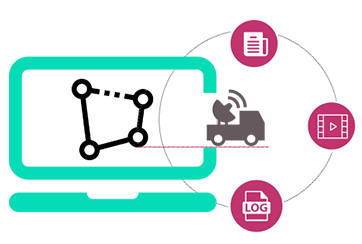 A mix of main and backup channels in one site for diverse and resilient disaster recovery. In house expertise managing & monitoring mirrored playout with low cost solution. 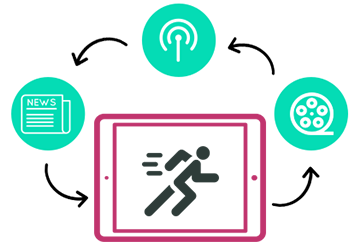 PLANETCAST ’s in-house designed and developed broadcasting software are flexible, customizable, and stable. Catering to any kind of broadcaster be it news, sports, entertainment, or any genre. We also design customized software solutions to support specific workflow modules, or Integration patches, translators, etc..
PLANETCAST team specializes in transforming a site from the bare shell to state-of-the-art broadcast center via live broadcast software be it for news, for entertainment or sports or any other television channel. We start engagement with the customer right from planning, system designing, to integration, installation, testing, commissioning and final delivery of the project, adhering to agreed timelines, and budgets. At the same time we ensure smooth functioning of the site by providing adequate training to the manpower with hand-holding post completion. PLANETCAST ‘s deep rooted relationship with all the leading equipment manufactures makes our solutions even more flexible and our expert in-house competence ensures the perfect choice of software & hardware for your operation. PLANETCAST has designed and built some of the major projects in SAARC and SEA markets. The capability of setting up of all types of channels (news, entertainment, spiritual, & sports) typically includes studios, PCR, MCR, CAR, Voice over booths, editing suits, Playout Automation, MAM and NRCS, Teleports, live broadcast software ,DSNGs, outdoor production units and technical training etc. PLANETCAST is the live streaming services provider with professional-grade service for streaming media to audiences of any size on any device—from encoder, reaching global audiences with high-quality, custom-branded videos— with no additional infrastructure. PLANETCAST has one of the largest teleport Service network in India. It has teleports in India (Noida, Mumbai* & Kochi) and Singapore (NewTech Park). 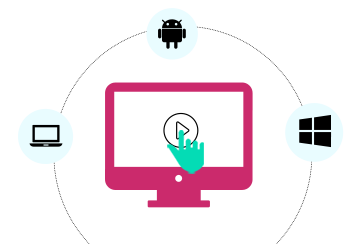 State-of-the-art technology and a high level of service level delivery are key features of the teleport and video streaming services. These features are attained using a high degree of network redundancy and fail safe mechanisms for discerning customers along with basic (no-frills) services for the smaller players from our various teleport facilities in India and Singapore. PLANETCAST end-to-end solutions including Uplink, Downlink, Turn-around and Playout services from our advanced, fully automated and teleport service facilities. Strategically located at the cross roads of North, West, & South India, Our teleport services in India serve for long term and occasional use broadcast clients from around the world. Having the most advanced HD, 3D and SD digital technologies, our dish farm with C-Band & Ku-Band capabilities; and comprehensive world-wide coverage, the capability exists to deliver television channels anywhere on the globe. Our tailored service solutions from traditional teleport to flyaway and transportable uplink and downlink systems meet the mission critical needs and requirements of every media customer. Our teleport provides services in SCPC as well as MCPC platforms for SD and HD channels with MPEG-2 / MPEG-4 compressions and DVB-S / DVB-S2 / S2-Ex modulations. The facility is capable of Uplinking channels on premier satellites like ASIASAT, INTELSAT, MEASAT, INSAT series amongst others. 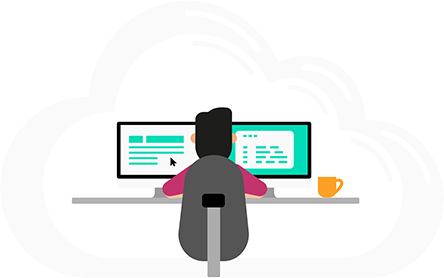 Our offerings include custom engineered solutions including integration services.